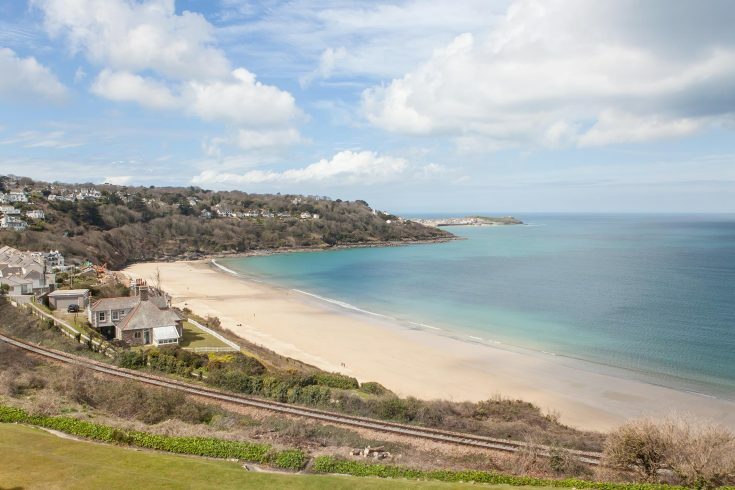 One of Cornwall’s five award-winning beaches, owned by the Carbis Bay Hotel, situated just a mile from St Ives. Around a mile long, the golden sand glistens in the bright light of west Cornwall. 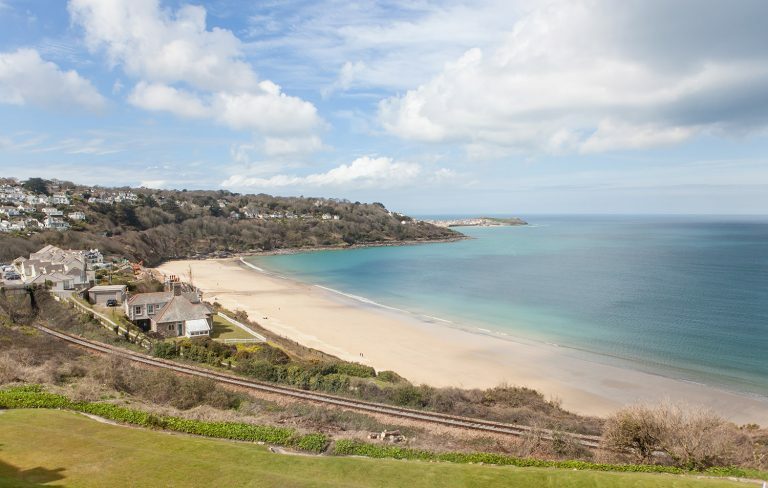 The beach at Carbis Bay is surrounded by sub-tropical plants and lapped by turquoise waters which just might just have you thinking you were somewhere much further south. This beach is ideal for families as the beach rarely has any surf making it perfect for toddlers to enjoy a swim. Dogs are welcome on this beach except between the first Sunday before Easter 30 September when a seasonal dog ban is in place, however morning dog walks between 5 – 8am are allowed.